Pamela Jones’ (Gemma Jones) wedding dress in Beeban Kidron's comedy sequel, Bridget Jones: The Edge of Reason. Bridget Jones (Zellweger) is settling into life with her new boyfriend; lawyer and all-round good guy Mark Darcy (Colin Firth), but her own insecurities and the re-emergence of the despicable Daniel Cleaver (Hugh Grant) threaten her hopes of future marital bliss. Pamela wore her gown at the end of the film when she renewed her wedding vows with Bridget’s dad Colin (Jim Broadbent). She also showed off her dress to Bridget in a changing room and announced that ‘absolutely everything’ is going to be lavender coloured. 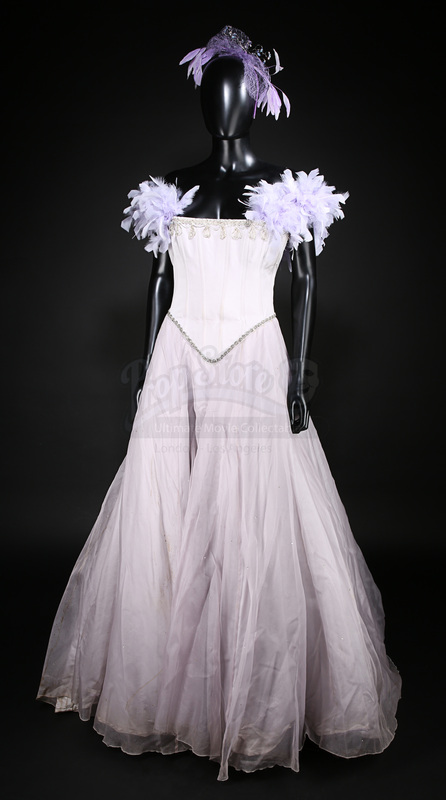 The wedding dress is made from a lavender satin-like fabric, with strips of boning sewn onto the top to add structure. Small beads have been used to embellish the waist and neckline. 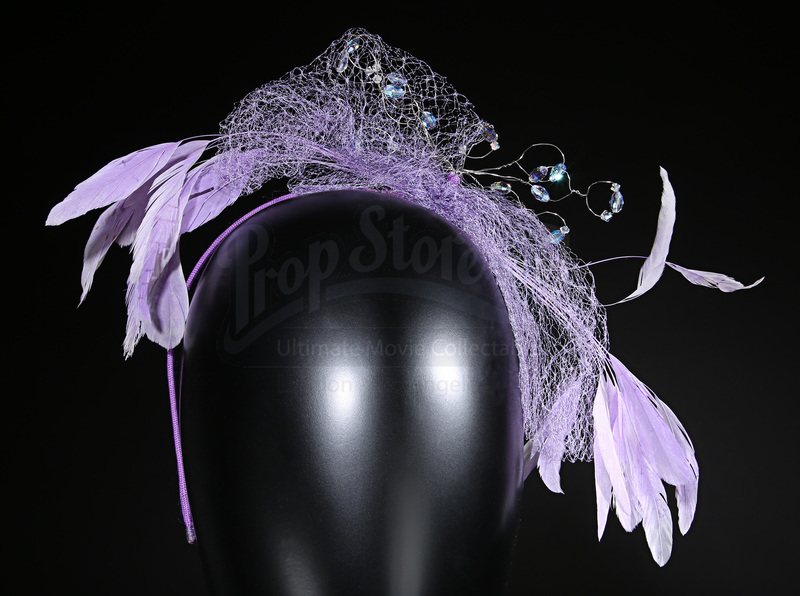 The straps of the garment feature purple feathers and the back of the top can be laced up to alter the fit. Displaying small decorative silver gems, the skirt consists of a stiff net top layer, a lining and several layers of tulle, used to produce a full shape. The skirt also features a train at the back. 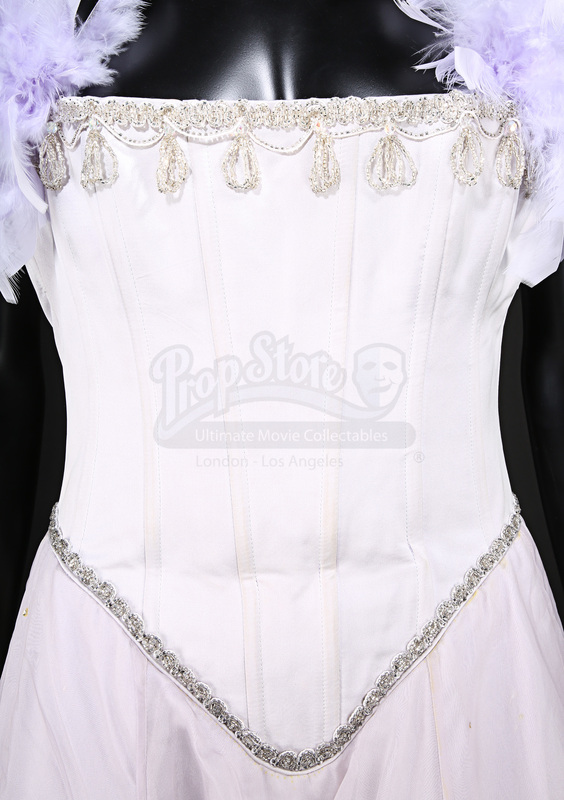 An ‘Angels Costumier’s label is adhered to the inside of the bodice section. The dress is accompanied by two fascinator style headbands with feathers, netting and decorative gems adhered to shaped pieces of wire. 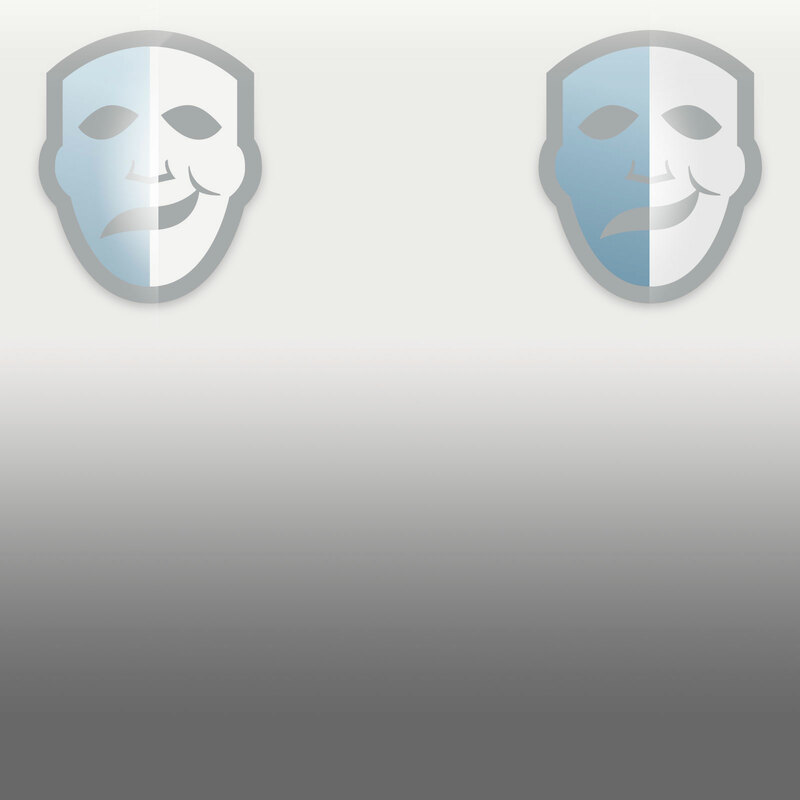 The white version of the headband was not used on screen. Multiple dirt-like marks are present on the top layer of the skirt and the hem line has become discoloured over time. The decoration on the headbands have become slightly misshaped. 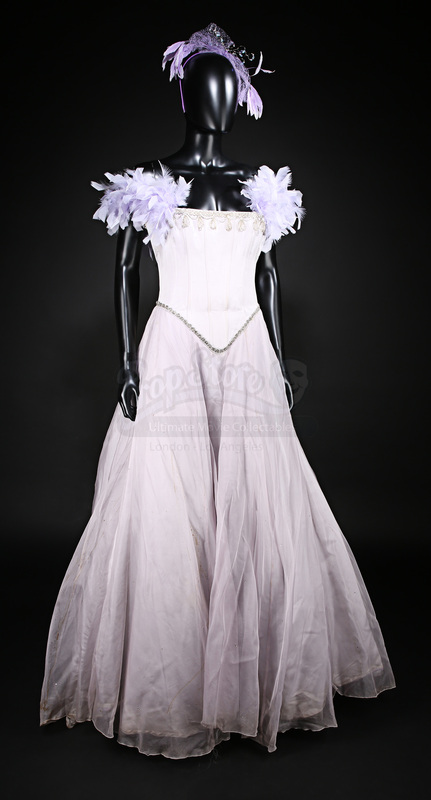 However, in spite of this wear, the costume remains in overall very good production-used condition.